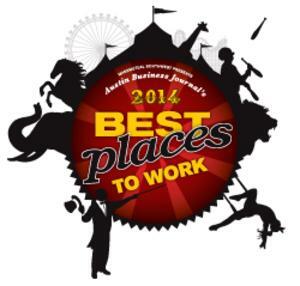 The Austin Business Journal has named it’s 2014 Best Places to Work, and HomeCity Real Estate is honored to make the list! Each year, the ABJ uses an external firm to confidentially survey employees to asses their happiness in the workplace. The top performers are then ranked in the categories of micro, small, medium and large. The ABJ will announce where each company falls on the list at a luncheon presented by MassMutual Southwest on Thursday, June 26, 2014 at the Renaissance Austin Hotel. At the luncheon, the ABJ will announce which Central Texas companies have the best climate, team atmosphere, benefits and most importantly, engaged employees! HomeCity is proud to be among the companies recognized, and plans to attend the event and show their team pride! This will be HomeCity’s first year to be recognized, which reflects the mass amount of growth HomeCity has experienced over the past year.